To clarify the roles and responsibilities, composition and structure of the GFPS to enable it to function as a mechanism for catalyzing and accelerating gender mainstreaming in the agency towards the promotion of Gender Equality and Women’s Empowerment. PCW/NEDA/DBM JOINT CIRCULAR NO. 2012-01: Guidelines for the Preparation of Annual Gender and Development (GAD) Plans and Budgets and Accomplishment Reports to Implement the Magna Carta for Women. COA CIRCULAR NO. 2014-001 DATED 18 March 2014: Revised Guidelines on the audit of Gender and Development (GAD) funds and activities in government agencies. PCW MEMORANDUM CIRCULAR NO. 2014-04: Preparation and Online Submission of FY 2016 Gender and Development (GAD) Plans and Budgets. PCW MEMORANDUM CIRCULAR NO. 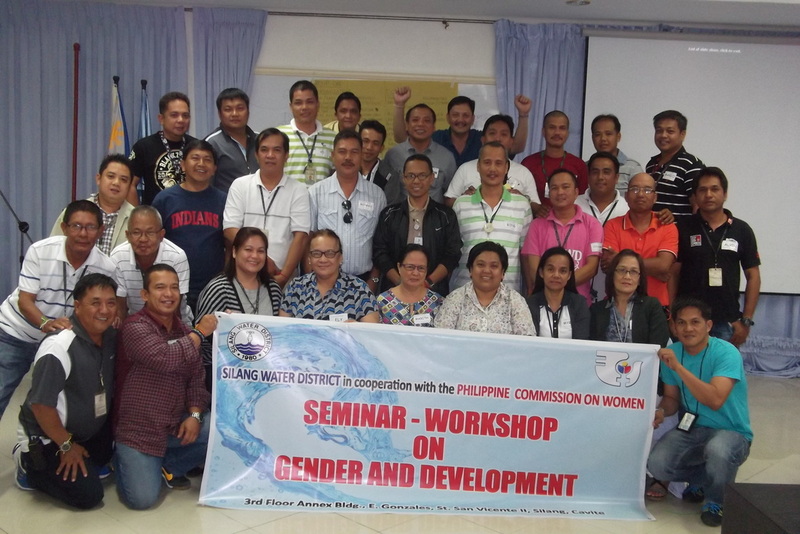 2015-03 DATED 19 May 2015: Guidelines on the Review and Endorsement of Water District Annual Gender and Development Plans and Budgets. 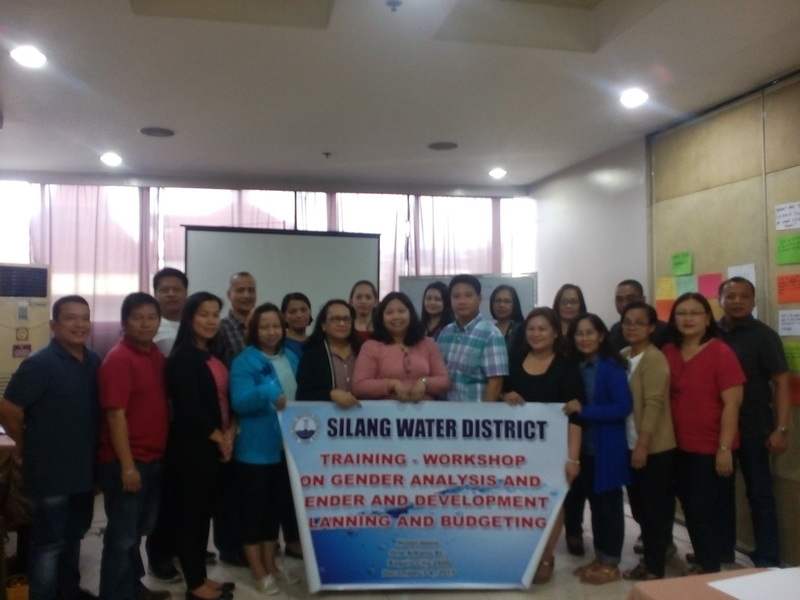 Silang Water District already conducted GAD training for all the employees for them to be familiar and knowledgeable on Gender Sensitivity. 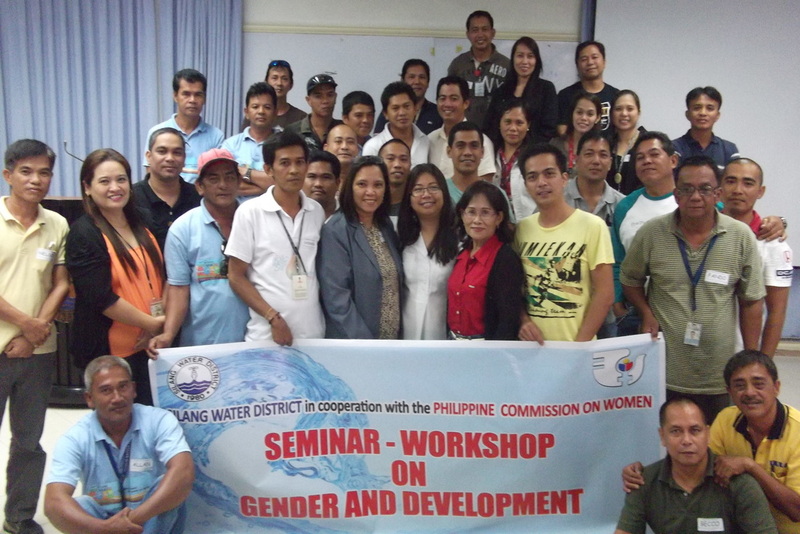 Silang Water District already conducted GAD training for all the employees for them to be familiar and knowledgeable on Gender Sensitivty.